This is the range of services – and resulting peace of mind – that we’ve been providing to clients for nearly 30 years. Add to this our current focus on exit strategy development for CEOs and business owners and you can see how valuable that next phone call could be. 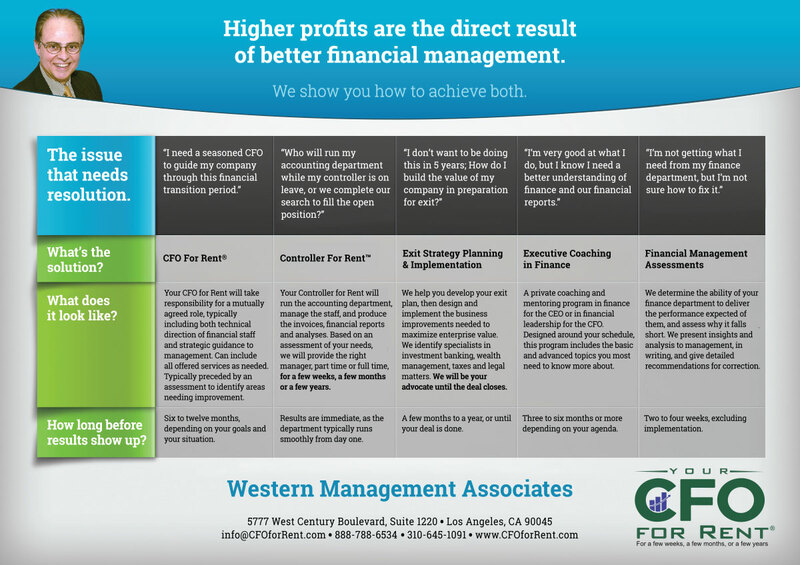 Contact us to discuss a Financial Management Strategy.